Sizing Note: Toddler sizes end in "T"; Youth sizes end in "Y". Toddler sizes are smaller than youth sizes. Sherman moc-toe suede boot from the Men's Eastland 1955 Edition. Hand-sewn, true moccasin construction. 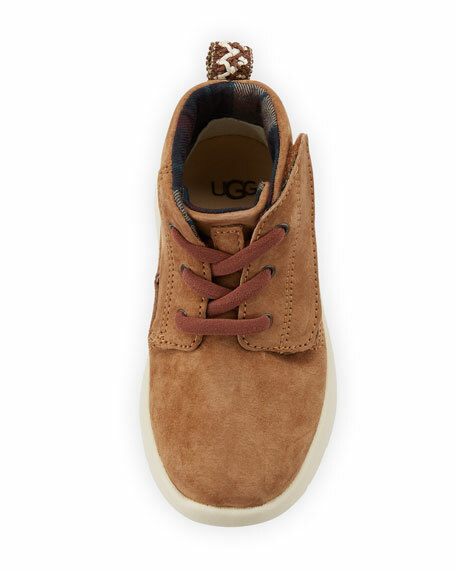 Lace-up front; rawhide laces. Pull-tab to help with on-and-off. Cushioned leather insole. 1" crepe rubber sole. Imported. Sycamore Style men's Blue & Cream II hand-dyed suede syc Wally. One color geometric designed suede upper in navy. Hand-sewn true moccasin construction. Rawhide lace-up front. Cushioned leather sock liner. Genuine leather welt. 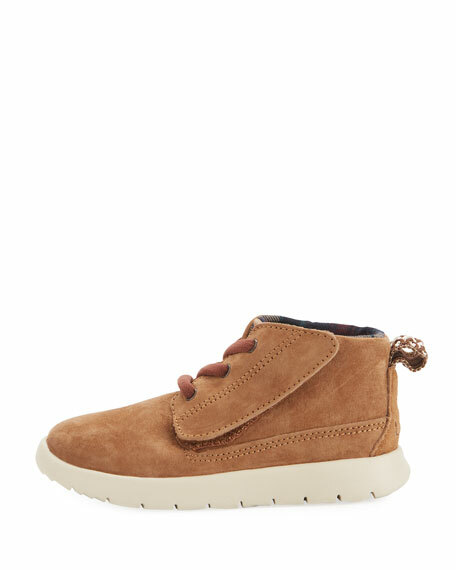 Wedge moccasin sole. 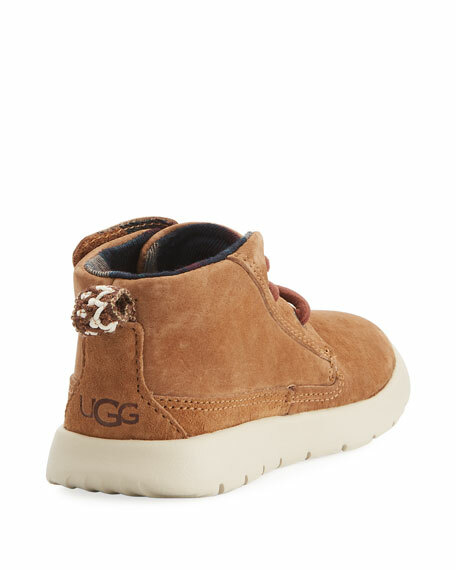 "Wallabee" is imported. Sycamore Style men's Rockefeller hand-dyed suede syc Wally. Gray with black speckle print suede upper. Hand-sewn true moccasin construction. Rawhide lace-up front. Cushioned leather sock liner. Genuine leather welt. 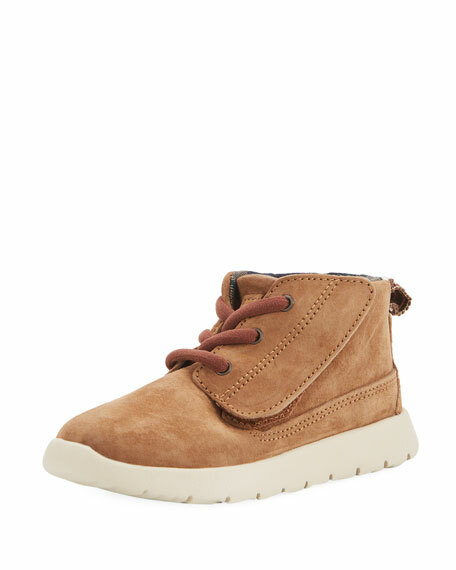 Wedge moccasin sole. "Wallabee" is imported.